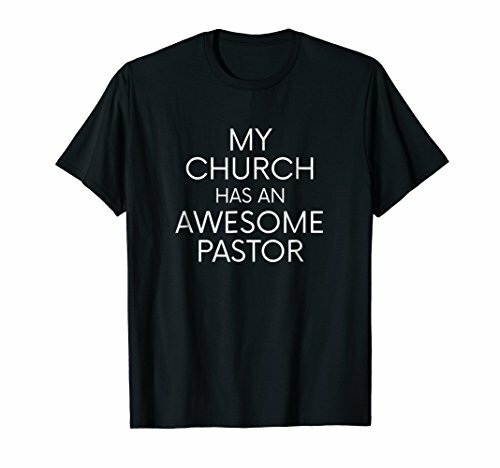 NEW My Church Has An Awesome Pastor Tshirt - Show your support for the pastor of your church congregation who works hard for God's people with this tee. Several colors. If you love worshiping and serving God under the leadership of your minister, get these cool Christian t shirts. Family and friends who love God, Jesus and their pasto will love these stylish tees that make cool Christian gifts! My Church Has An Awesome Pastor Tshirt - Show your support for the pastor of your church congregation who works hard for God's people with this tee. If you have any questions about this product by Cool Christian T-Shirts, contact us by completing and submitting the form below. If you are looking for a specif part number, please include it with your message.